IPTV can provide the end user with all TV channels by using the Internet Access unit instead of the traditional systems such as cable tv or satellite. The difference with internet TV is that there is no buffering and QoS is like normal TV. Broadcaster can target a specific country or region with a dedicated, customized language channel; eg. XYZ Australia, XYZ Europe or any others at minimal cost. 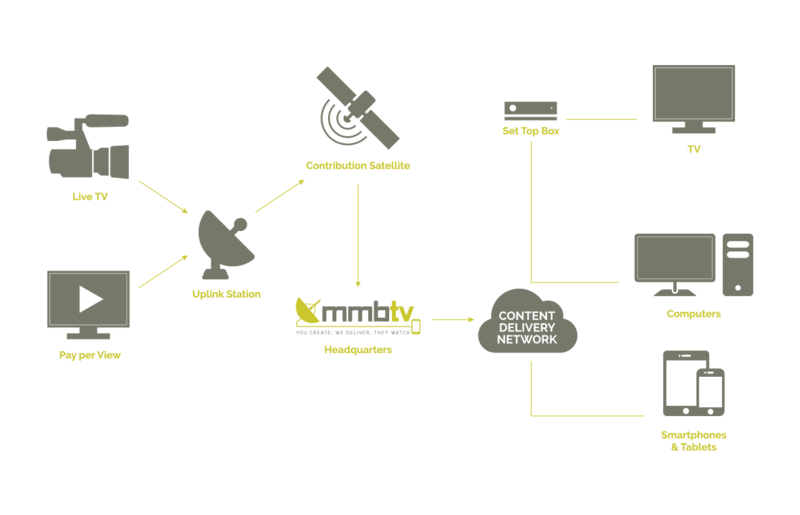 Content delivery or extraction via fiber, satellite downlink or IP backhaul, preferably at the broadcaster’s facility. It would be than possible to delliver content in real time 24/7 all year round SD, HD, H.264. Our IPTV platform, gives direct access to viewers around the world who cannot view XYZ today and could be a direct result of geographical limitations and high installation costs in some parts of the world. Access to viewers in apartments, high-rise buildings, schools and universities which do not have satellite access. Radio channels can be added for a very small monthly charge. With us you can choose to add your channel to an existing platform or personalize your own.